There is no question that the Internet of Things (IoT) has become one of the most talked about technology trends today. However, the problem facing many organizations is how to monetize the IoT opportunities. THINKstrategies has discovered several real-world issues that have become serious obstacles for companies seeking to make money in the IoT marketplace. 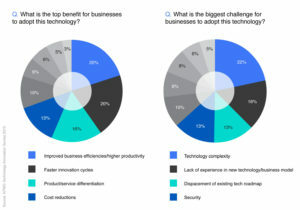 First, organizations believe the IoT is about simply adding connectivity to existing products to enhance their value. As a result, they focus their attention on technical requirements associated with embedding sensors, supplying sufficient power and providing adequate network connections rather than thinking about the real business value of these product enhancements. Second, organizations are unsure of what data they should collect and how to best analyze and use it. In fact, the real value of IoT is derived from the data that is collected from connected products to drive business decisions such as packaging and pricing. Effectively capturing and analyzing IoT data requires more than the right corporate leadership and staff skills. It also requires the right systems and software. Finally, because the IoT market is still relatively new, only a few organizations have properly determined the right software and systems needed to effectively administer the IoT monetization process. Many make the mistake of assuming that their existing ERP and financial management systems can be employed to handle the multitude of pricing scenarios, sophisticated discounting, entitlement management and revenue recognition necessary to support IoT solutions. However, these legacy systems were not architected to handle the flexibility and scale needed for IoT pricing and packaging. Although there are many common pitfalls to monetizing the IoT, there are also a growing number of real-world success stories to illustrate IoT industry best practices and to show how companies are leveraging a new generation of agile monetization platforms to achieve their IoT business objectives. The organizations that are making serious inroads in the IoT market and generating monetary value from their IoT initiatives are establishing the right combination of long-term goals and practical interim steps to test their ideas before making “big bets” regarding their corporate investments. THINKstrategies refers to this approach as the “reverse long-tail strategy”. The common characteristic of the companies that are gaining measurable results from their IoT initiatives is the ability to capture data about connected product transactions and utilization patterns. Today’s sensors can collect an overwhelming volume of data. However, the key to successfully monetizing this data is converting it into actionable insights that enable an organization to better serve their customers, design their products, streamline their operations and uncover new market opportunities. The right IoT monetization platform should be able to handle multiple packaging and pricing scenarios. These scenarios include subscription service and consumption/usage-based pricing schemes across a highly diverse population of product endpoints that can be activated and even changed rapidly based on various triggers. The platform must include real-time monitoring, metering, rating and revenue recognition capabilities. And most importantly, the platform must possess strong analytic capabilities, a user friendly dashboard and a robust reporting mechanism in order to produce actionable information and insights that enable an organization to properly package and price their IoT offerings in a dynamic environment. This is just a brief glance at the common pitfalls and success characteristics. If you’d like to learn more about which companies are getting it right, watch my recorded webinar, Beyond the Hype: How to Avoid Common IoT Monetization Mistakes. You can also download a free copy of THINKstrategies’ latest report How to Avoid the Most Common IoT Monetization Mistakes to Maximize Today’s Real Market Opportunities. 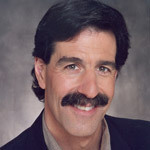 Jeff Kaplan is an award-winning strategist with 30 years of experience in the high tech market. His firm focused entirely on the business implications of the transition of the technology industry from a product-centric to services-driven solution model, including Software-as-a-Service (SaaS), Cloud Computing and Managed Services, and how organizations can leverage these trends to capitalize on Big Data and the Internet of Things (IoT).